When it comes to buying an Android tablet, there aren’t many choices if you are looking for a premium device. Sadly, even Google themselves have gotten out of the tablet category, which is a real shame. If you haven’t been a fan of the expensive glass-backed tablets from Samsung, I have another option for you to consider. It’s the HUAWEI MediaPad M5, and it’s a beauty. The MediaPad M5 is actually a series of Android tablets from HUAWEI that include an 8.4-inch, and two 10.8-inch tablets. One of the 10.8-inch versions of the tablet is the Pro version. I was sent the 10.8-inch regular version of the M5 for this review. The HUAWEI MediaPad M5 is a big beautiful tablet. Although I wish it had ultra-thin bezels like the HUAWEI P20 smartphone that I reviewed recently, I can deal with the relatively narrow bezels that it does have. 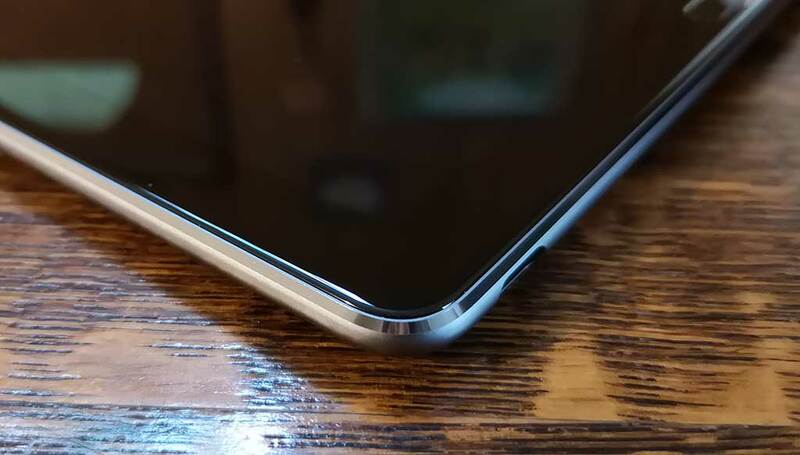 The MediaPad has the HUAWEI logo on the bottom edge with the tablet when you are using it in landscape orientation and the fingerprint reader is on the right edge. In landscape orientation, the front-facing camera and status LED are located along the top edge above the display. The back side of the MediaPad is made of aluminum that has a smooth feel. It’s so smooth that the tablet is pretty slippery. So you will definitely want to consider some type of back cover or case if you purchase this device. The right side of the tablet (in landscape orientation) has a one-piece volume button at the top and a smaller power button below it. Also on that side is the microSD card slot. There is an issue with the location of these buttons when you use the tablet in portrait mode because the buttons end up on the bottom edge of the device which is the opposite side I would expect them to be. Granted, the MediaPad is designed to be used primarily in landscape orientation. That said, even in that orientation, the fingerprint reader seems to be is in a strange location on the right side of the display. 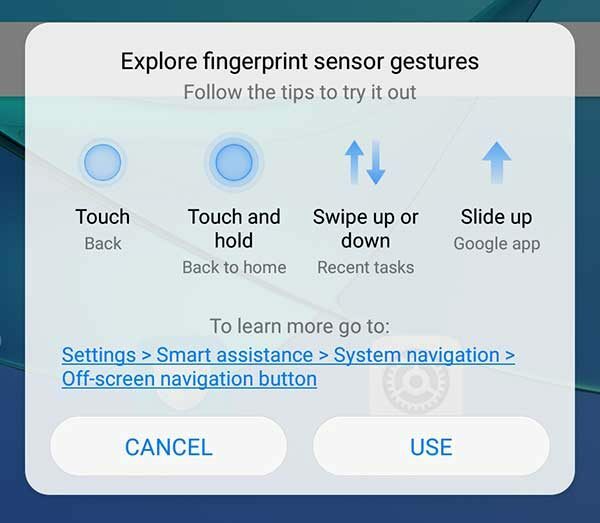 However, the location of the fingerprint reader works out for a reason you’ll understand when I talk about navigating the user interface. 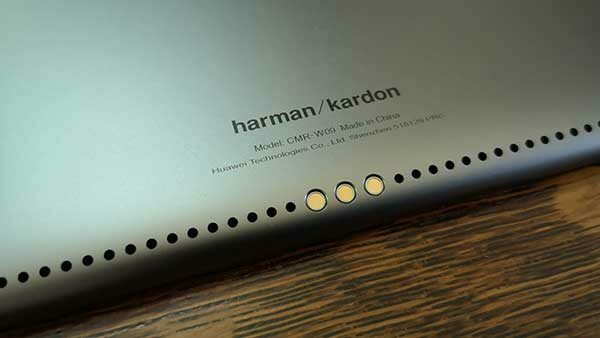 Along the bottom edge of the MediaPad is a set of built-in speakers that have been tuned by Harman Kardon and provide 360-degree surround sound. In the center are 3 electrical contacts for a future accessory. 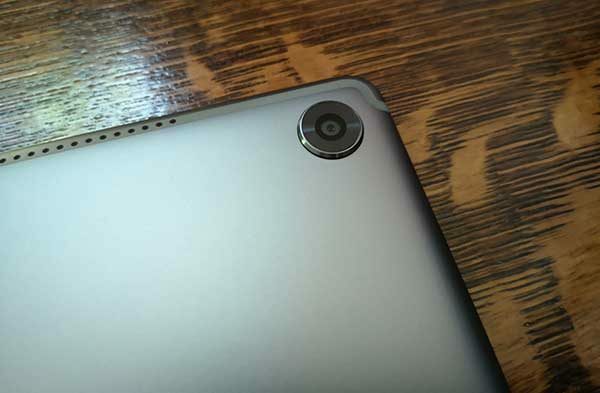 In the upper right corner is a rear-facing camera and another set of speakers along the top edge of the tablet. Last year I purchased a Samsung Galaxy Tab 3 to replace a Tab 2. 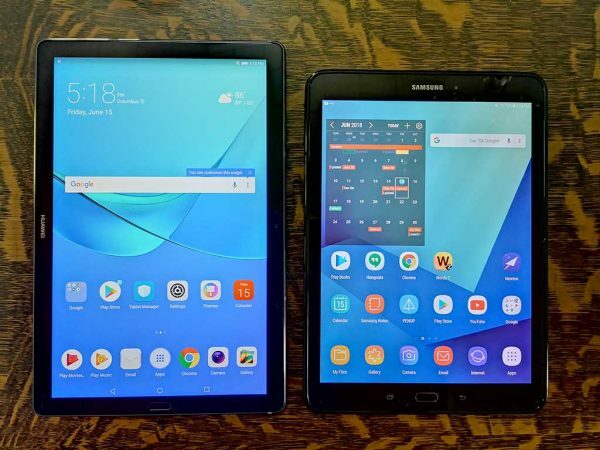 In the image above, the Samsung tablet is on the right with the MediaPad M5 next to it on the left. 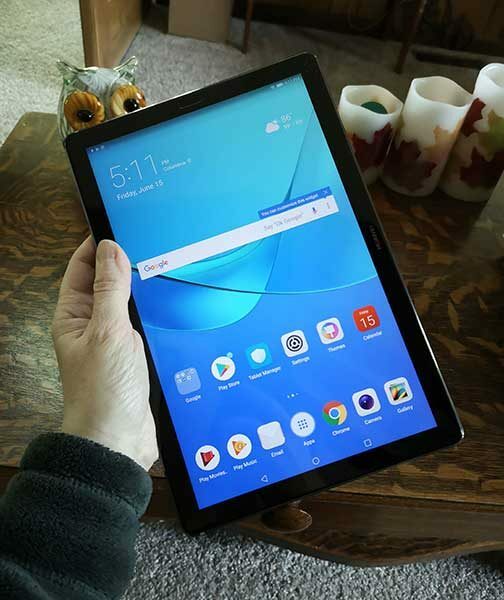 The larger screen size of the 10,8-inch MediaPad makes a huge difference when reading, surfing, and watching videos on this device in either orientation. The 10.8-inch MediaPad M5’s 2K IPS display is bright and crisp with vibrant colors. 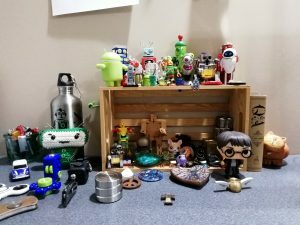 I have been impressed by how nice everything looks on it from websites to viewing my Google Photo image collection, and watching a video using the Netflix app. The 2D curved screen edges are a nice touch as well. 2D curved screens aren’t a new feature for smartphones, but I believe this is a first for an Android tablet and I like the way it feels when holding the tablet between my two hands because there are no uncomfortable edges. I think it’s safe to say that 99% of the people who shop for a new tablet are not going to base their decision on the built-in camera. Yes, the M5 has a built-in camera yes, it takes pictures. But the image quality is not going to blow you away and again, 99% of the people who buy this tablet aren’t going to care about the camera quality because who goes around using their tablet as a camera anyway? All that said, here are a couple example images. 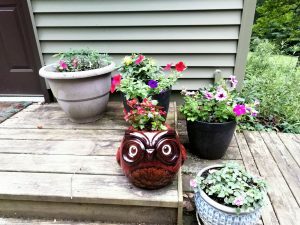 The two pictures on the left where taken with the 13MP rear camera the picture on the front used the 8MP front-facing camera. Neither are especially great. But the front camera should work fine for video calls. The fact that I had some issues with the fingerprint reader won’t come to a surprise if you’ve read more than a few of my device reviews. Yes, fingerprint readers tend to have problems with my alien DNA. 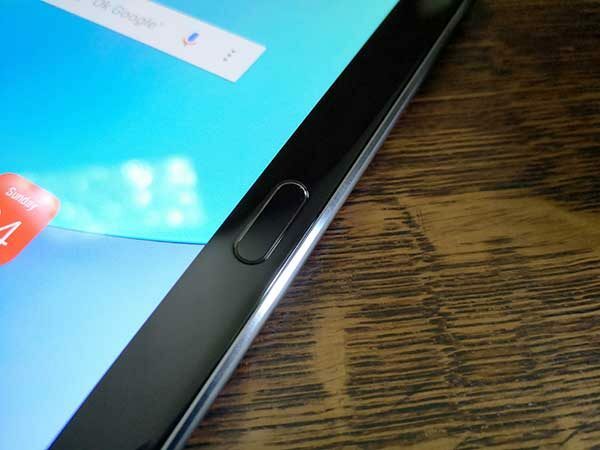 The MediaPad’s fingerprint reader worked for me some of the time, but not all of the time. The real unfortunate thing here is that the MediaPad does not share the face unlock feature that the HUAWEI P20 has. It’s a shame because that unlock method has worked really well for me. As it is, I have been using a combination of the fingerprint read and a good old-fashioned PIN number with the M5. The fingerprint reader does have a second use besides scanning your fingerprints. It can also be used to navigate the tablet by using gestures like the ones shown above. How well does that work? Pretty well since the reader is on the right side of the display where your thumb would naturally rest while using the tablet in landscape orientation. I do wish the MediaPad also had traditional onscreen navigation icons for back, home, and running app list. The really weird thing is that my device DID have onscreen navigation buttons. You can even see them in a few of the images in this review. But they disappeared and now I don’t know how to get them back. I even read a few other reviews where people complain about the lack of onscreen buttons, but they don’t mention anything about the buttons having been on their MediaPads in the first place like my device. I know I didn’t imagine them because the images in this review are proof that they existed at one point. So, what gives HUAWEI? 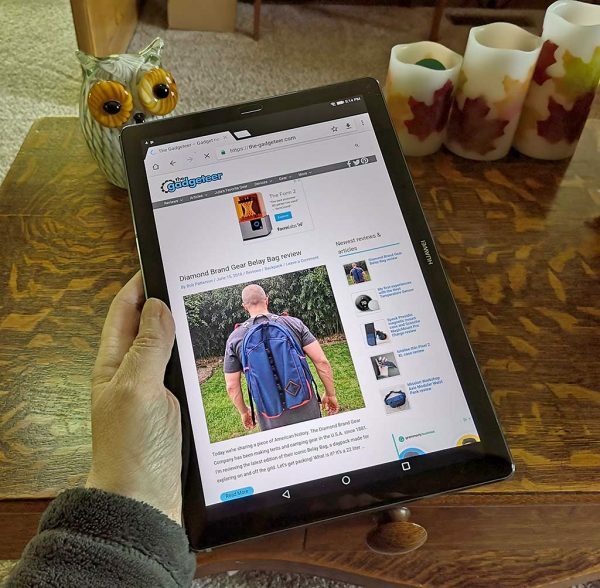 The 10.8-inch MediaPad M5 has 4 Harmon Kardon speakers built into the long sides of the tablet and they have terrific sound when using the tablet in either orientation. I enjoyed listening to music through Spotify and watching video on Youtube and Netflix. It was loud enough for two people sitting side by side watching a movie on Netflix with the tablet propped up about 3 feet away. 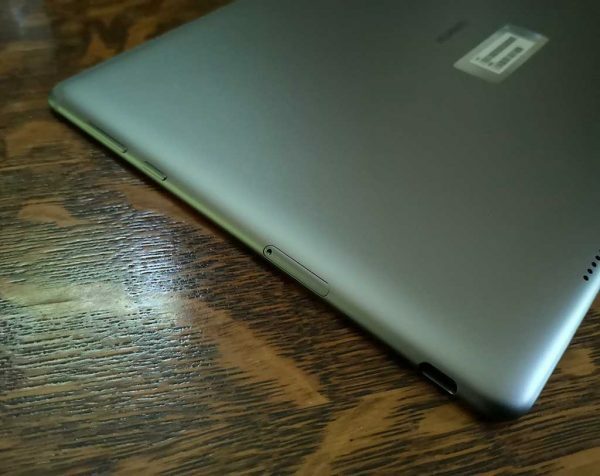 If you prefer to listen to audio in private, the MediaPad lacks an earphone jack so you’ll need to use the USB-C to 3.5mm adapter or Bluetooth headphones which brings up a pretty big issue with this tablet which I’ll talk about next. If you want to use a pair of Bluetooth earbuds or headphones with the tablet, they will work just fine, but there is a caveat. The tablet uses the same antenna for Bluetooth and WiFi, so trying to use both at once results in slow WiFi speeds. You can see examples of this in the image above where I used the Speedtest application to test the WiFi speed with Bluetooth turned off, with it turned on, and with a device connected and turned on. 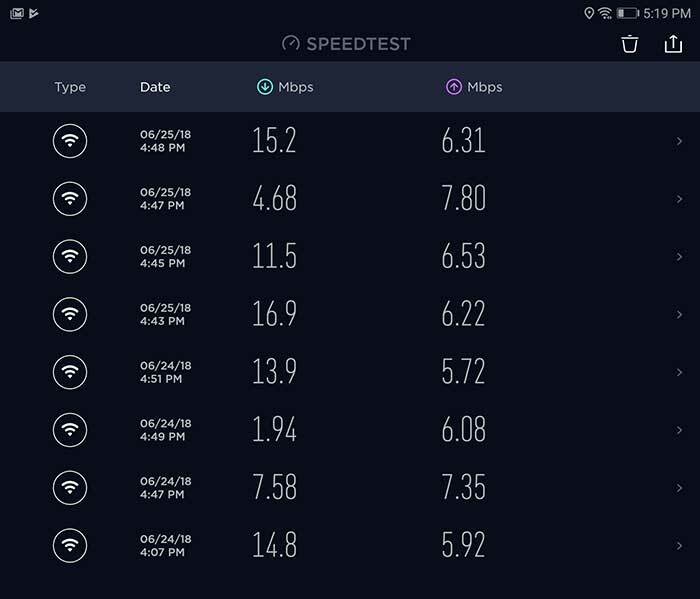 With Bluetooth turned off, my WiFi speed on the tablet is typically between 15 – 17Mbps, but as soon as I turned on Bluetooth and tried the Speedtest test again, the WiFi speed fell to 5-7Mbps. Then if Bluetooth was enabled AND a paired Bluetooth device was active, the speed dropped even further to as low 2Mbps at one point. Is this problem a deal breaker? It depends on the types of activities that you use your tablet for. 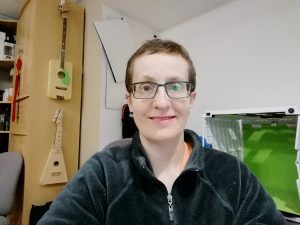 I mainly tested the tablet surfing my favorite sites while listening to music using Google Play, and using Bluetooth earbuds while watching Netflix shows. Did I notice a problem? Not too much other than lag while a Netflix video was buffering that longer than normal before the video started to play. Other than that, I didn’t notice a problem. But you have to understand that I used a T1 line at my home for a decade, so I’m used to slower (sub 2Mbps) network speeds. Like the HUAWEI P20 and the HUAWEI Mate 10 Pro that I’ve reviewed, the MediaPad M5 ships with Huawei’s own skin on top of stock Android Oreo. That skin is called EMUI. 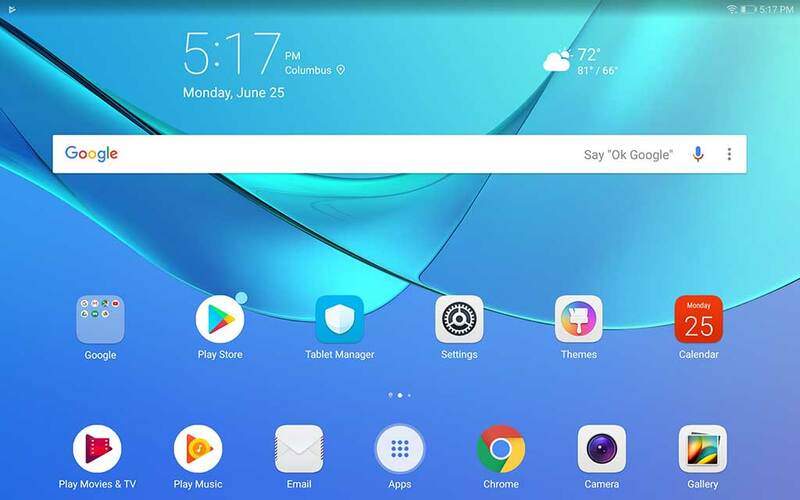 EMUI doesn’t make Android look that much different from stock Android Oreo, but it does include Huawei’s versions of the stock apps like the calendar, clock, calculator, etc. There are more apps (aka Bloatware) included on the MediaPad like Booking.com, Kid’s Corner, Game Suite, Quik video editor, and WPS Office, but they can be uninstalled if desired. 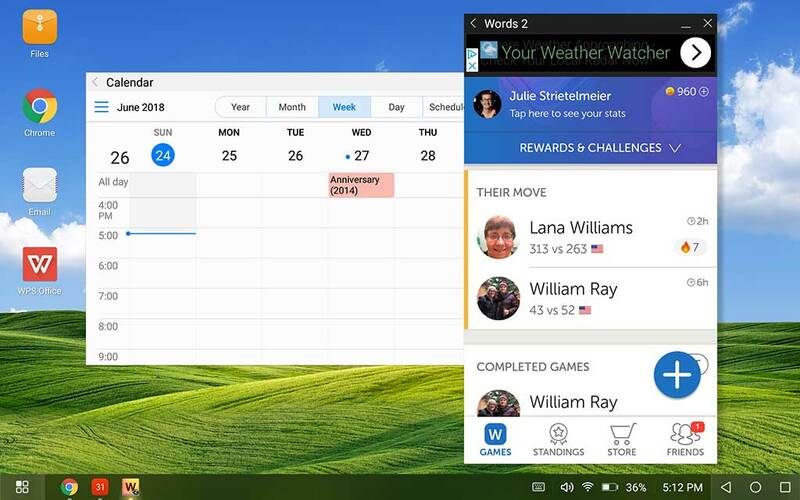 The MediaPad M5 also includes a special desktop mode that allows the M5 to have a Windows-style look and feel with multiple movable windows and a taskbar at the bottom. But unlike the HUAWEI smartphones, the MediaPad does not have the ability to output to a large monitor when used with an HDMI USB-C adapter. The 10.8-inch MediaPads have a large 7500mAh battery which does an impressive job of powering the tablet for several days with light use and easily through a full day of moderate use. The performance with the tablet has impressed me. I feel like it’s snappier than the Samsung Galaxy Tab 3. I had no problems launching apps, scrolling pages, etc. The HUAWEI MediaPad M5 lives up to its name with its large display and Harman Kardon speakers. This tablet is a great device for surfing, and watching videos on your favorite streaming service. The tablet isn’t perfect though due to the issue with using WiFi and Bluetooth at the same time. 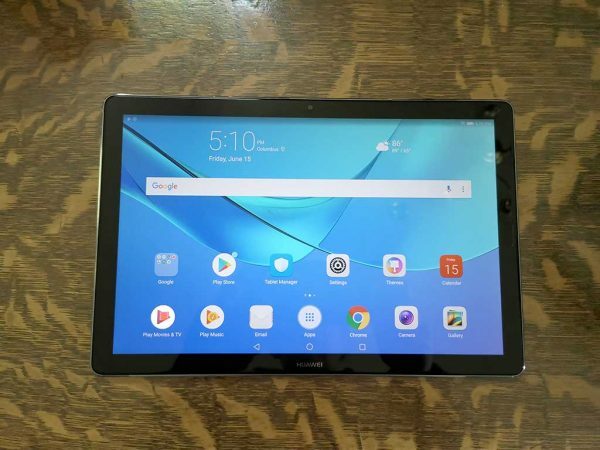 If you can get past that problem, the price and features of the HUAWEI MediaPad M5 do make it one of the nicest Android tablets that are currently available. 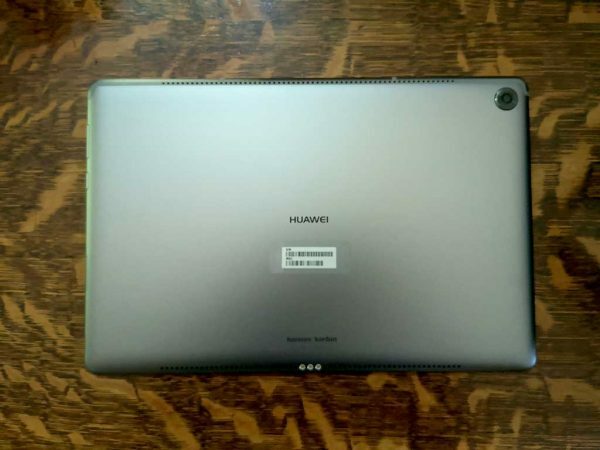 The post HUAWEI MediaPad M5 Android tablet review appeared first on The Gadgeteer. 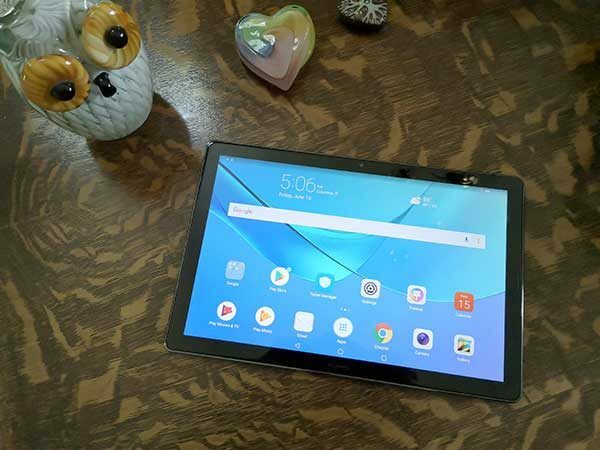 HUAWEI MediaPad M5 Android tablet review originally appeared on The Gadgeteer on June 26, 2018 at 11:00 am.